Security Electric, Inc. was founded by Kent Reisdorph in Fort Myers, Florida in 1986. Our attention to detail in all of our electrical installations and customer service have been the keys to our success, as well as building partnerships with many builders and general contractors. Our mission is to provide our customers with the most energy-efficient electrical and solar services and to continuously deliver the highest level of customer satisfaction while making a positive contribution to our environment. At Security Electric, we are a family. Most of our employees have been with us for years. Here is a little bit about our family. Kent is a native of Minnesota, but he and his family moved to Florida when he was one. He started in the trade in 1976 here in SWFL. He pursued his Journeyman’s license and in 1986 acquired his Master’s license and started Security Electric of SWFL, Inc. In 1988, Kent became a State of Florida Certified Electrical Contractor and has run a successful electrical contractors business since. Justine’s father was an electrician who owned his own business in Kansas and then came to Florida in 1971 and got his Master’s license and began a business here. It just made sense that she stay in the field and carry on the family tradition. She controls the office in every aspect from administrative duties to purchasing and plan takeoffs. Justine has been with us since 2003. Frank comes to us from Connecticut where he holds a Journeyman’s license. Frank heads up our commercial/industrial service work department and has experience in multi-family and residential work as well. He has been in the trade for over 30 years. Bienvenido (Benny) joined Security Electric in 2002 and has been in the trade for over 15 years. He is a native of SWFL and is certified in Lutron/Homeworks applications and specializes in large custom homes, generator installations, as well as solar installations. Benny also has successfully graduated from the four-year electrical apprenticeship program at the Donna J. Beasley Tri-County Apprenticeship Academy and has since made partner in Security Electric of SW FL, Inc.
Brian has been with Security Electric of SWFL, Inc. since 2012 and is in charge of our Naples market. He started out as a helper and has proven, he too, is a reliable electrician. Brian has graduated from the Donna J. Beasley Tri-County Apprenticeship Academy and is currently seeking to obtain his Journeyman’s license. Mike comes to us from Illinois and has been in our employ going on two years. Mike oversees our whole house generator division. 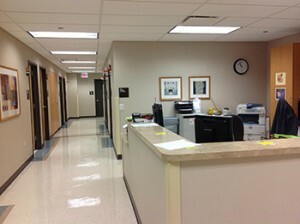 This entails, repairs, maintenance & new installations. Mike has also successfully taken several Cummins Service Training classes. Jerry comes to us from Massachusetts and has been with us just a short time, since April of 2018 but has proven to be an experienced electrician who helps oversees service calls & commercial jobs. Ray has been with us just a little over a year now. Ray has proven to be a fast learner and is currently enrolled in the Donna J. Beasley Tri-County Apprenticeship Academy program. Hector came to us just this year, April. Hector has also proven to be a quick study and is enrolled in the Donna J. Beasley Tri-County Apprenticeship Academy program. Jakob is our newest recruit and is eager to learn the electrical trade and will start apprenticeship classes in the fall. 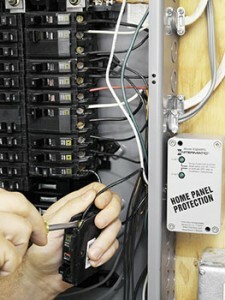 Contact Security Electric for your electrical installations needs today. Our reputation and dedication to your satisfaction cannot be beaten! Security Electric serves all of Southwest Florida from Marco Island north to Port Charlotte. To receive a comprehensive estimate of your electrical installation needs complete our online request form. For the fastest response please call our main Ft Myers office at (239) 433-0939.